Walls were removed to transform a cramped and dated kitchen into an open plan kitchen and dining area that is bright, modern and spacious. The space features affordable Ikea cabinets, quartz countertops, Led lighting throughout, a random linear mosaic glass backsplash, cork tile and wide-plank engineered oak flooring in a tactile and warm oil finish. It's not often enough that a client has the sense of adventure (humour) to use vibrant colour in tile. 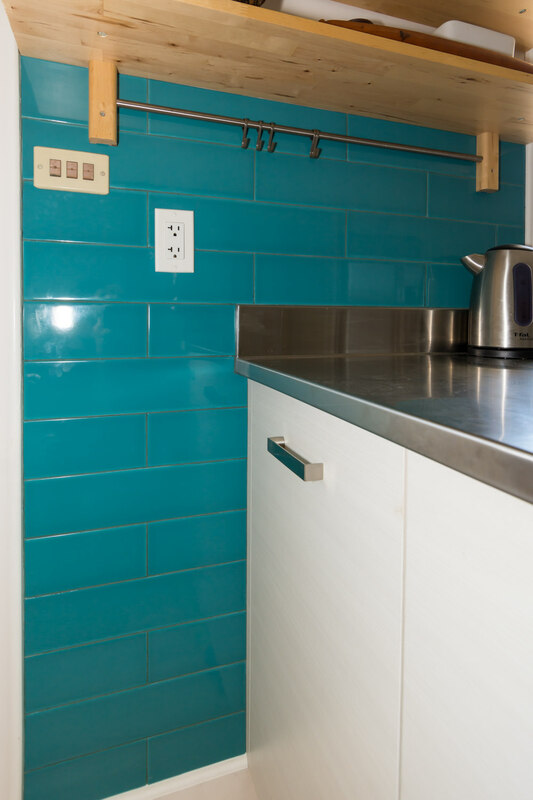 It was a pleasure to install these beautiful tiles to create colourful zones in their otherwise monotone kitchen. Colour-matched grouts kept the blocks of colour bold and solid. 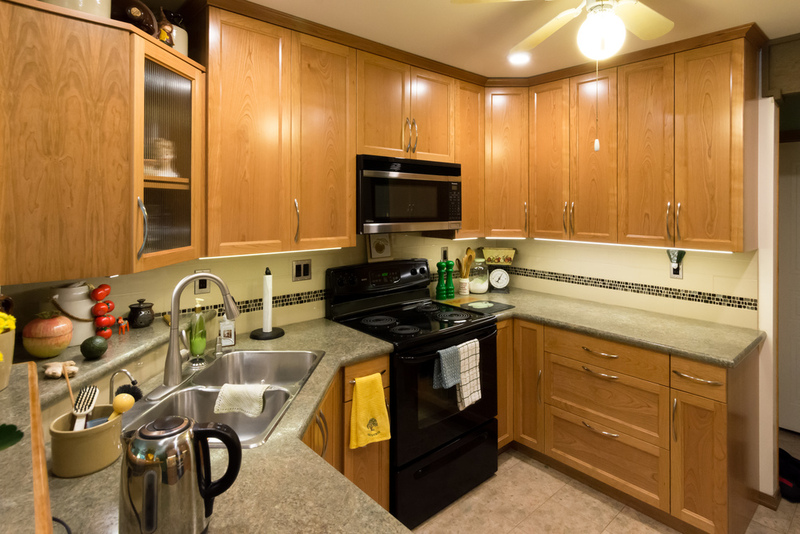 This kitchen badly needed an upgrade: I replaced the contractor-grade cabinetry from the 80's with quality solid cherry cabinets, new LED lighting,plumbing, countertop and tiled backsplash. Properly designed, the kitchen now boasts a tremendous amount of storage space, and is now efficient, bright and beautiful.